Pulsation in Architecture highlights the role of digital design as the catalyst for a new spatial sensibility related to rhythmic perception. It proposes a novel critical reception of computational architecture based on the ability of digital design to move beyond mere instrumentality, and to engage with core aspects of the discipline: the generative engine of digital architecture reinvigorates a discourse of part-to-whole relationships through the lens of rhythmic affect. There is a paradigm shift in spatial perception due to the intense use of computational techniques and the capacity to morph massive amounts of data in spatial patterns; rhythm plays a pivotal role in the articulation of the topology of buildings, generating the atmospheric character that induces moods and throbbing sensations in space. Pulsation introduces the fundamental animate capacity of living form and reshapes our perception of architectural space across the multiple scales of a project, from digital inception to fabrication. An emerging thread of rhythmic sensibility loosely binds a survey of contemporary design practices, including contributions by Peter Eisenman, Jeff Kipnis, Greg Lynn, UNStudio, Preston Scott Cohen, Reiser + Umemoto, Asymptote, Ali Rahim, Hernan Diaz Alonso, Ruy Klein, Gage / Clemenceau, NOX, Evan Douglis Studio, kokkugia, and MONAD Studio. Eric Goldemberg holds a Master of Science in Advanced Architectural Design from Columbia University. He worked in New York for Peter Eisenman and Asymptote Architecture. Goldemberg is Associate Professor at FIU in Miami. He also taught at Pratt Institute, Columbia University, New York Institute of Technology, New Jersey Institute of Technology, and University of Buenos Aires. 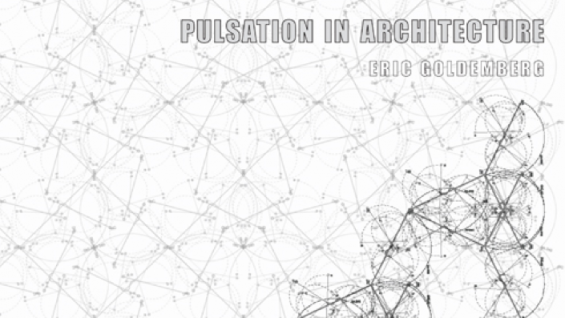 Eric Goldemberg is the author of the book “Pulsation in Architecture” which highlights the range and complexity of sensations involved in constructing rhythmic ensembles. He has lectures at Studio-X, Columbia University, Cooper Union New York, Architectural Association London, Die Angewandte Kunst Wien, Politecnico di Milano, ETSAB and Iaac Barcelona, MIT Boston, University of Puerto Rico, MOCA Miami, Wolfsonian Museum Miami, University of Miami, University of Buenos Aires, among other institutions. His firm MONAD Studio was co-founded in 2002 in New York with Veronica Zalcberg. The work of MONAD Studio has been published in The New York Times, Architectural Record, World Architecture (China), Architecture in Formation book, Conditions Magazine (Norway), I4Design (Chicago), Future Arquitecturas (Spain), Miami Herald, Florida InsideOut, Design Book Magazine, Summa+ (Argentina), La Nacion (Argentina), PP@PD (Penn School of Design), Evolo Magazine (L.A.) among other architecture journals. MONAD Studio was one of the 5 finalists of the 2008 PS1-MoMA competition and the project was exhibited at the Museum of Modern Art (MoMA) in New York.